Imprinted With Your Logo, Insignia, Mascot or Advertising Message! 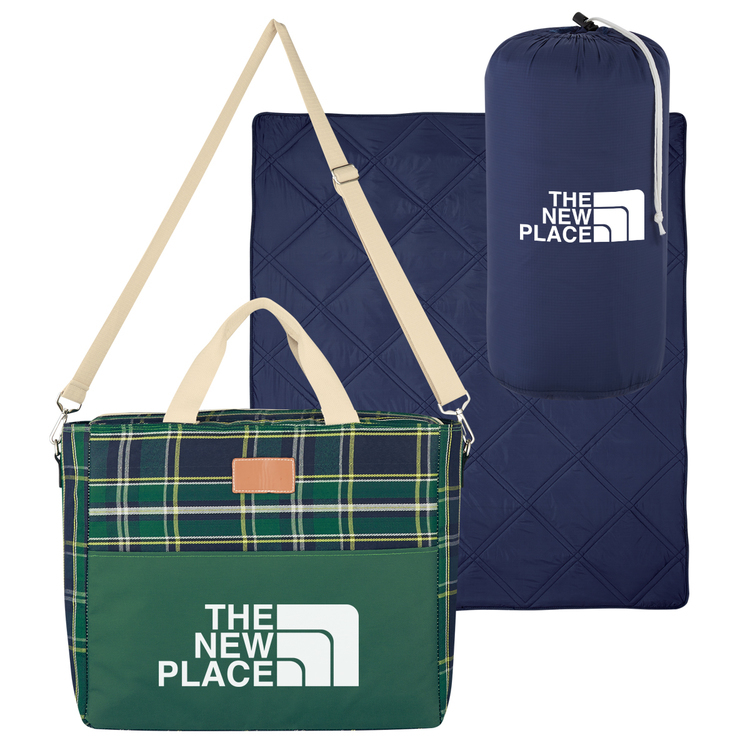 Personalized cooler bags and insulated coolers are appreciated promotional swag gift products, with large imprint areas for your custom printed company logo, motto, school mascot, insignia, or advertising marketing slogan. Add color to your diet! 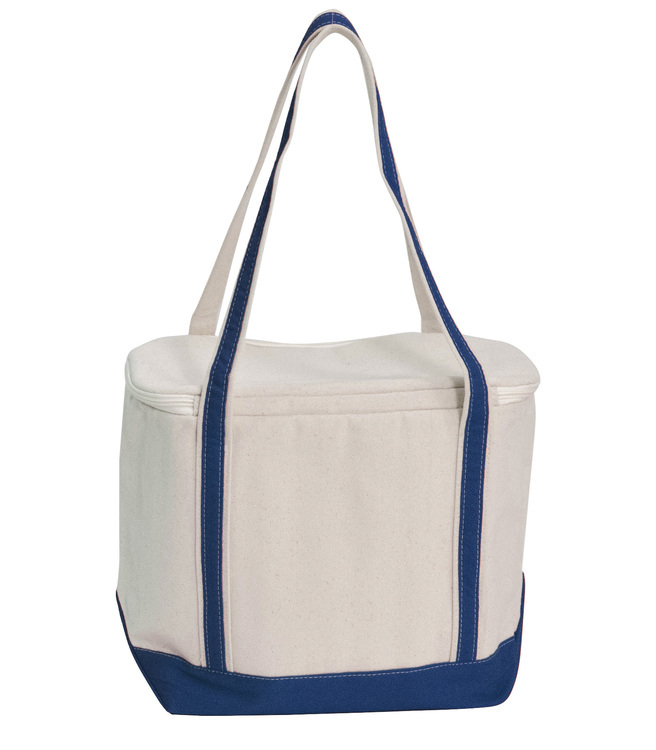 Lunch Tote refrigeration bag is made of high quality chloroprene rubber. 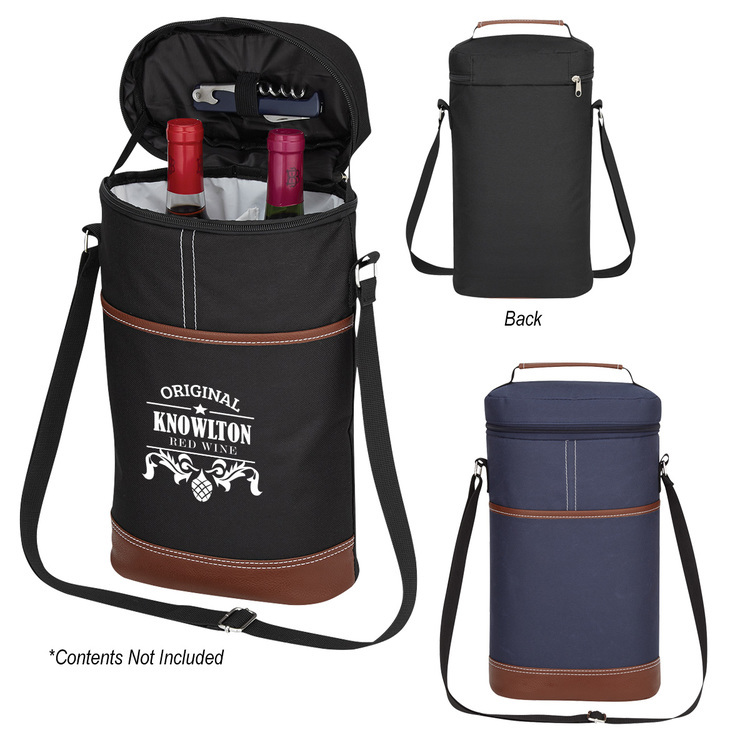 Flat folding for easy storage, soft handle. 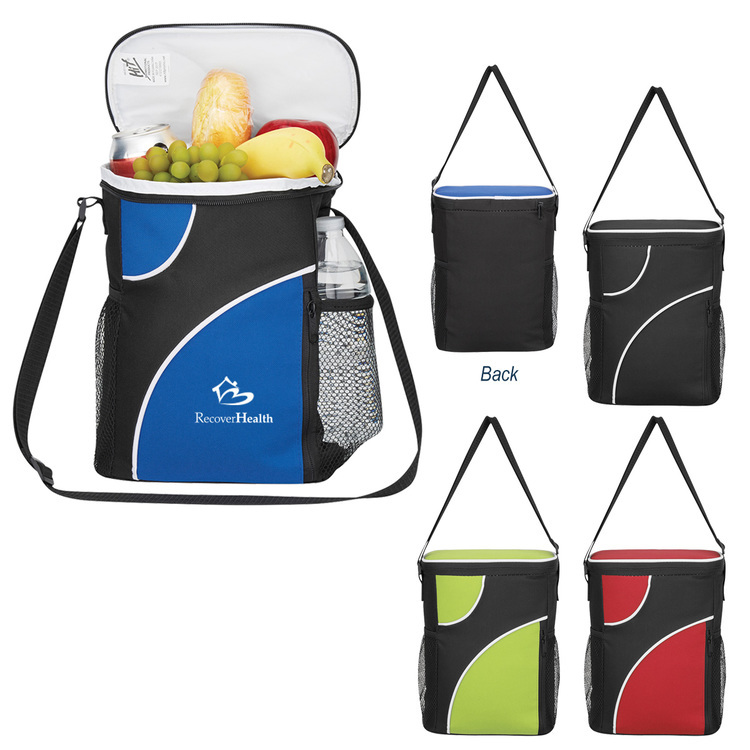 It's economical and cool to take your lunch to work or school. 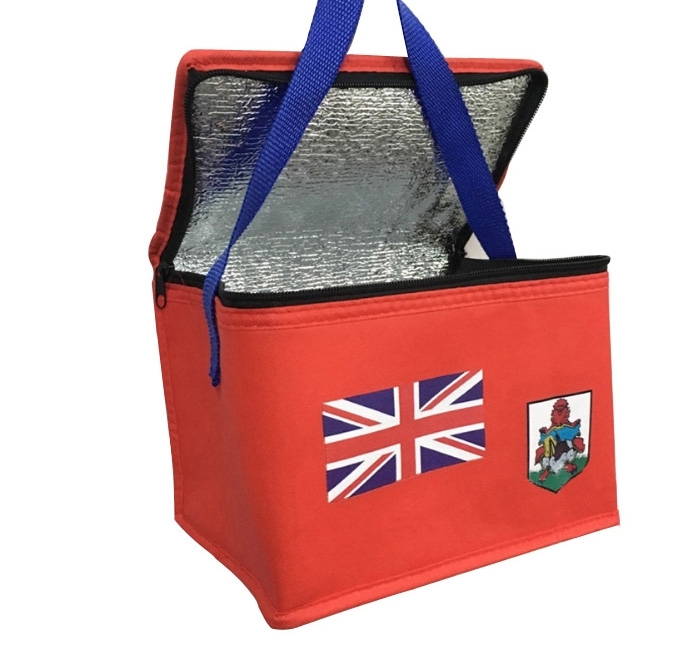 The bag is designed to keep things cold for up to three hours, showing a soft grip for easy carrying. Its thermal insulation lining can keep your content warm or cold. 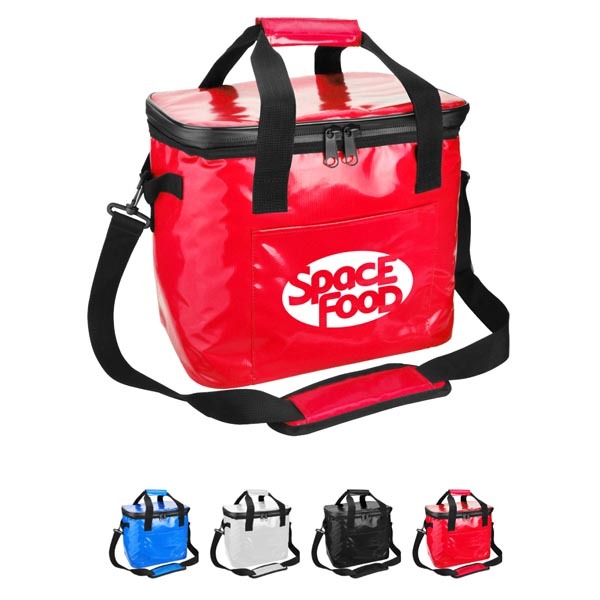 Handbags can be extended to suit all sizes of containers and frozen packages of food. The top of the zipper is closed with a pull rope and a soft handle. 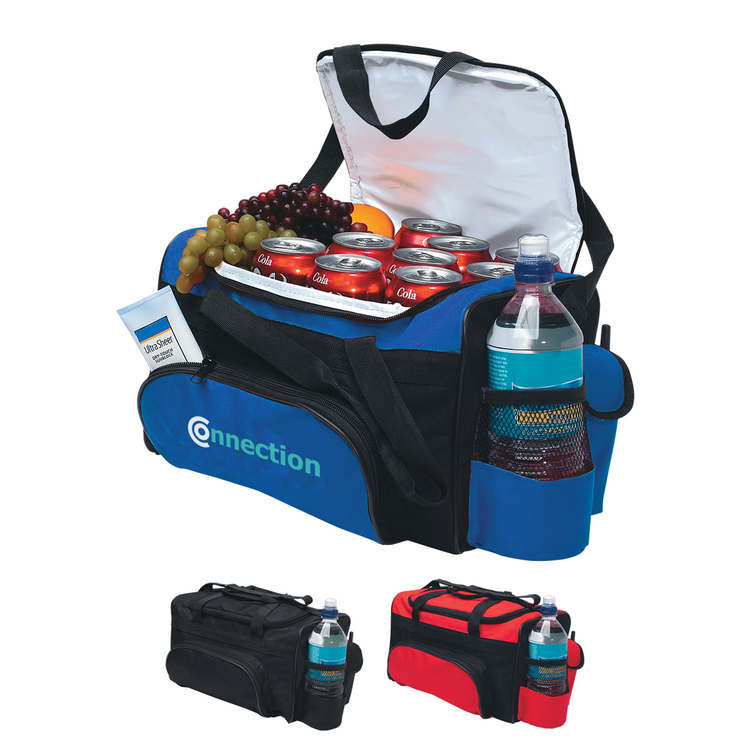 Provide an excellent gift at the next trade show or conference you attend. It can keep food cold or hot to keep it fresh and tasty. 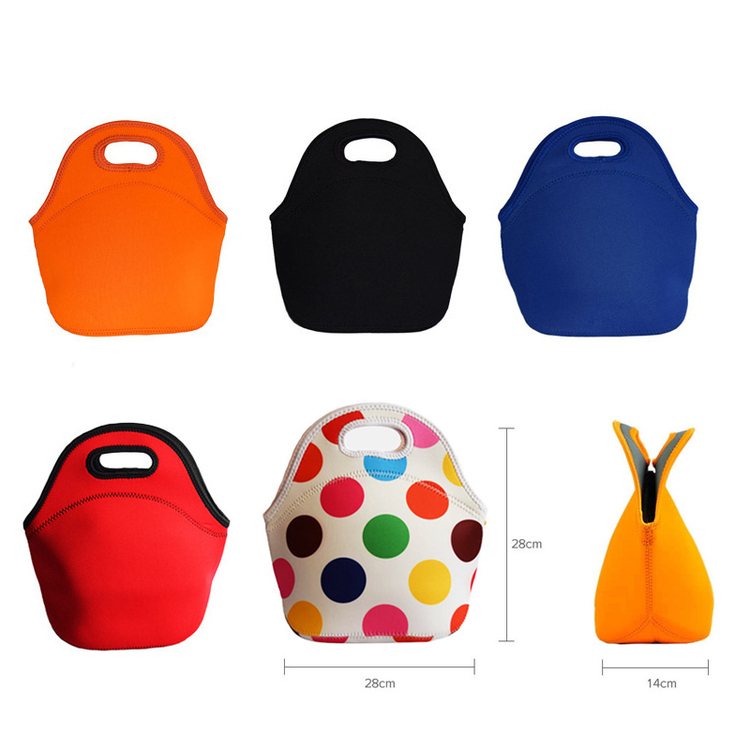 The size is 11 "L x 51/2" W x 11 "W. It can be used not only in office or school lunch bags, but also in picnic bags, sundry bags and shopping bags. 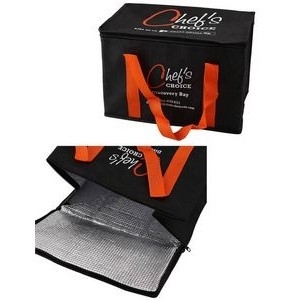 It has the functions of heat preservation, cold protection and freshness preservation. It is suitable for packaging frozen food, chafing dish, frozen beverage, ice cream, etc. Welcome to send inquiries! 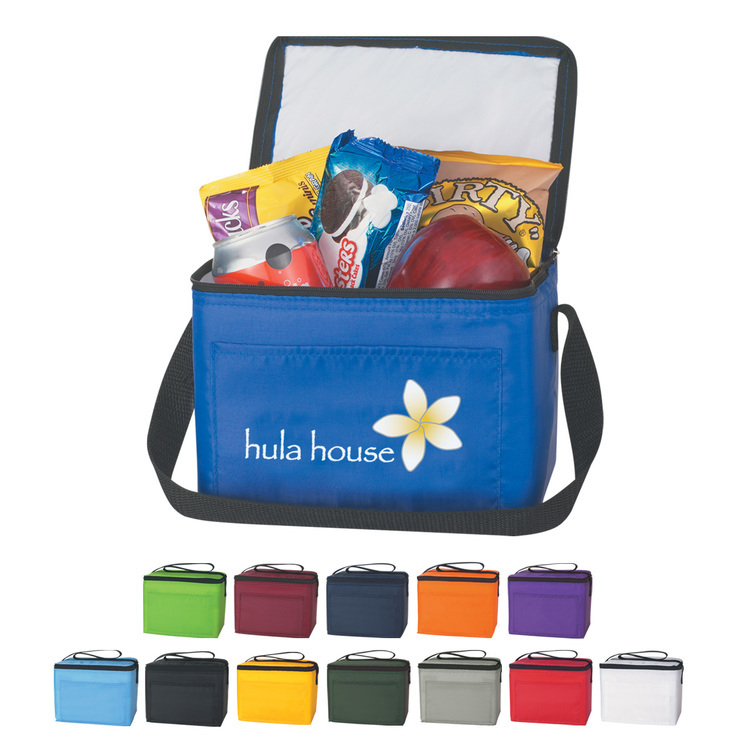 It transform your Tote into the perfectly cooled snack center. 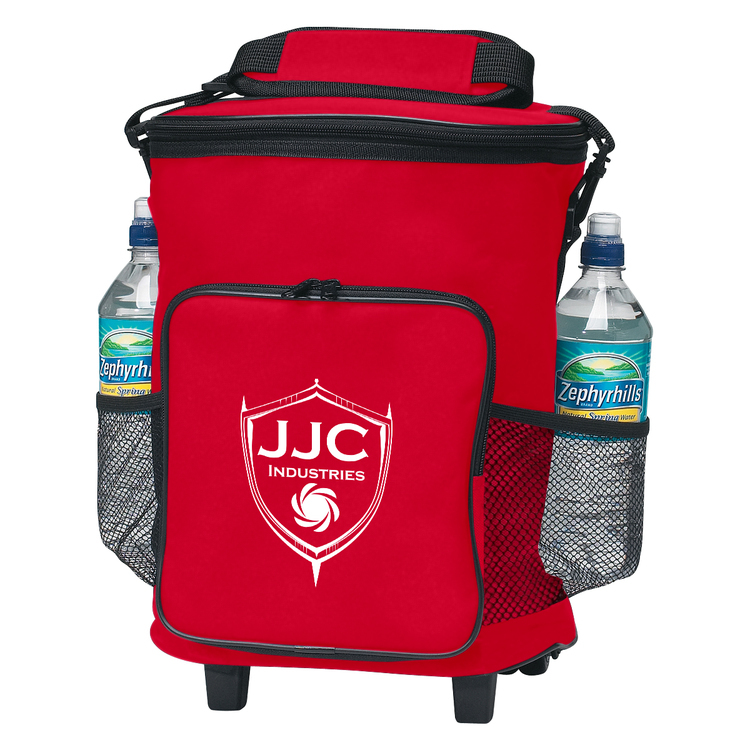 Pleace fill your tote with snacks, drinks, and ice packs to zip in the coolness. 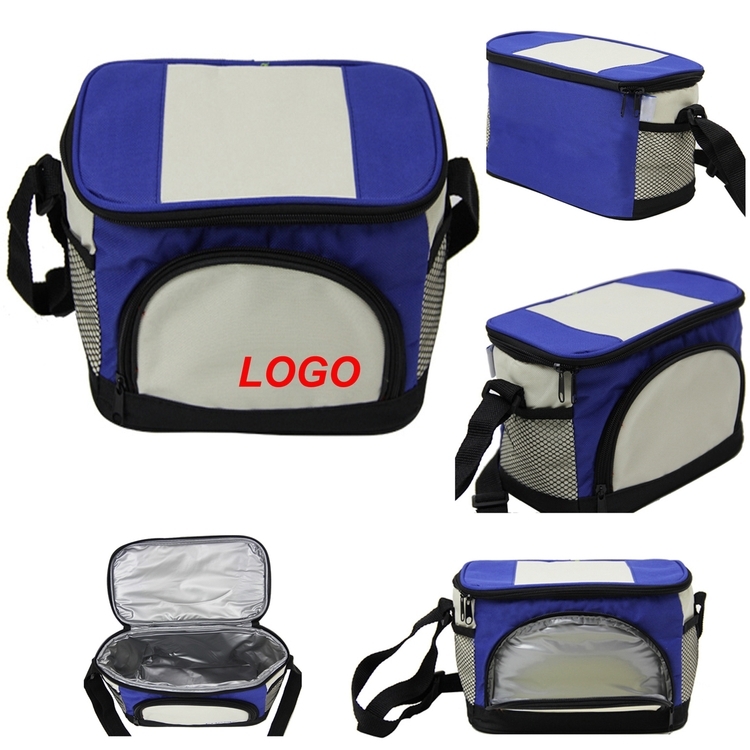 Our cooler bag is made of non-woven material. 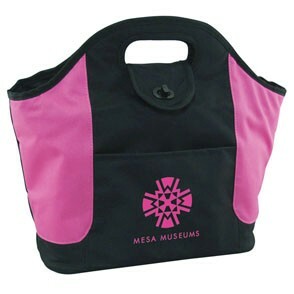 11"L * 6 1/4"W * 7"H.
Pink Accented Cooler Tote - 13"W x 9" x 6" - Insulated cooler carry all tote bag for lunches, sodas or snacks. Heat sealed and lined with a zipper closure and flap. 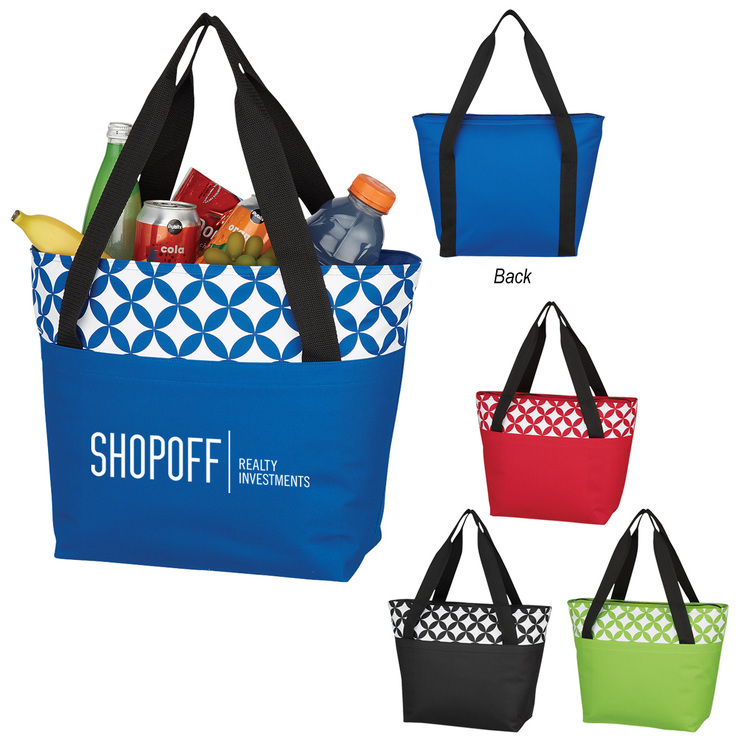 This cooler tote can be decorated subtly with your company''s logo to make a nice gift for customers, employees, or for a great marketing idea. 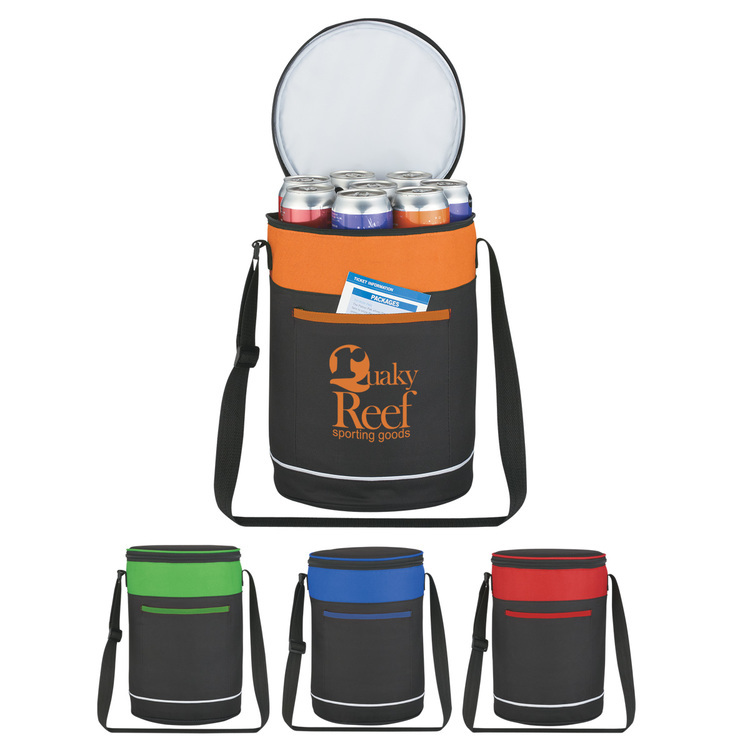 Holds up to 6 cans with ice or a bottle of wine for that special occasion surprise. 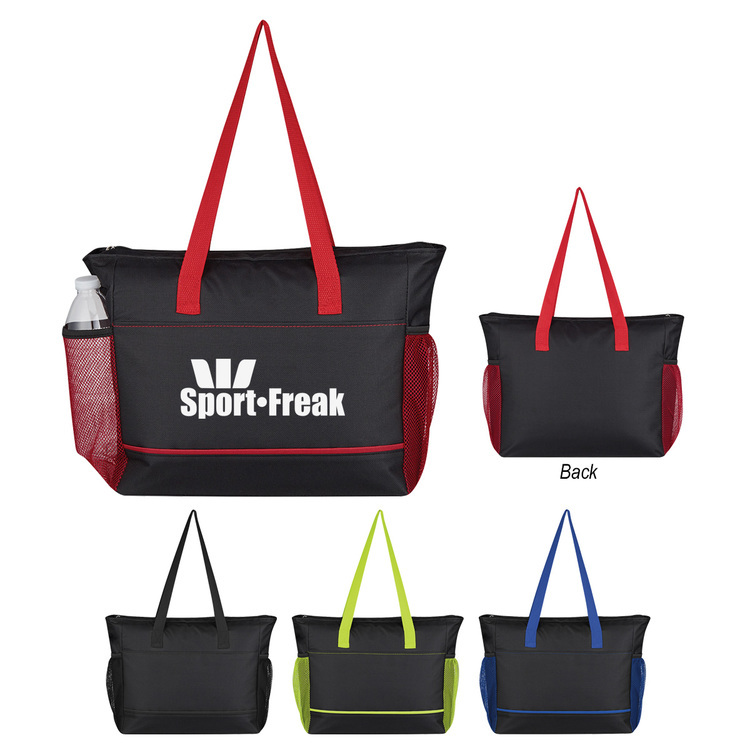 Cooler Bag is made of 600D Polyester and PVC back, 0.15EVA + 2mm EPE, Nylon Zipper. Price over 10000 is shipping by sea. 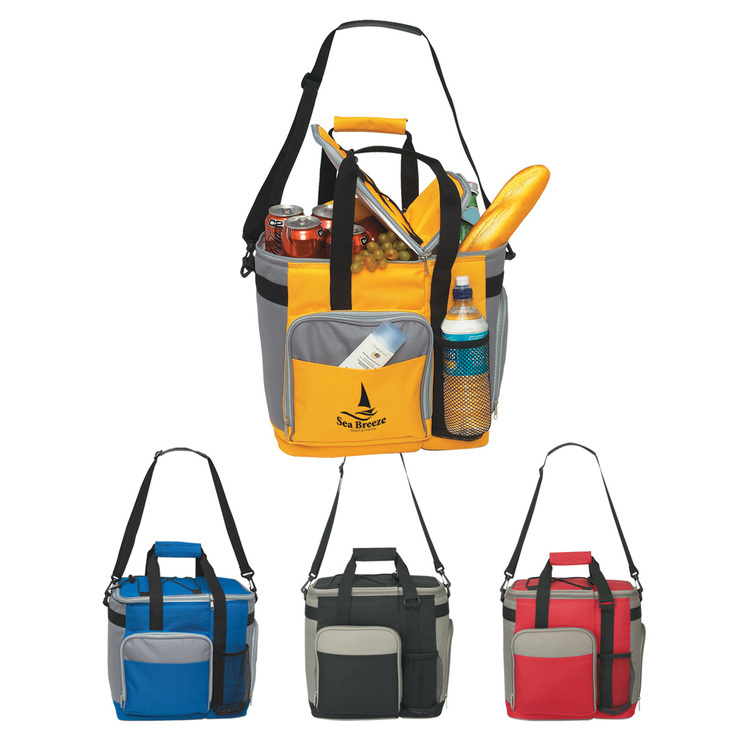 7 7/8" X 5 1/8" X 5 1/8"
Lunch Cooler Bag – 8”Wx11”x4” – Soft sided nylon cooler bag. 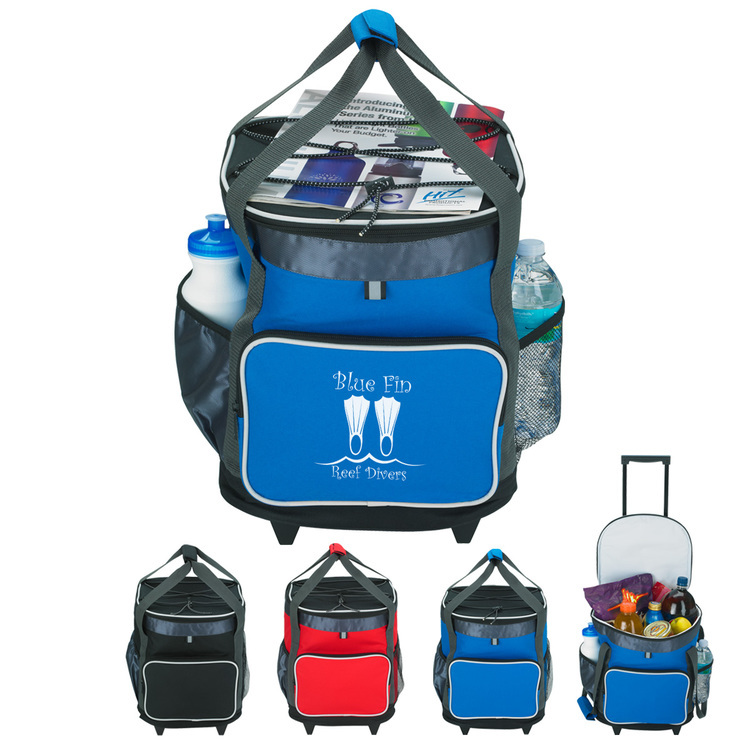 Features include zippered top, web handles, mesh side pocket for bottled water or sodas and a front pocket. Plenty of room on the inside for lunches and snacks. 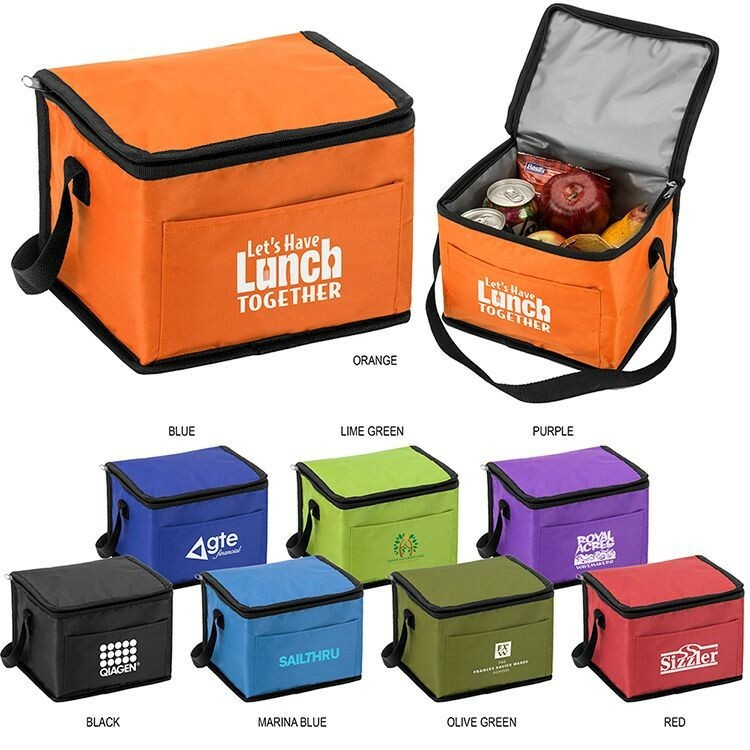 This insulated lunch cooler tote is perfect for those employees who bring their lunch or snacks to work or for students carrying their lunch to school. 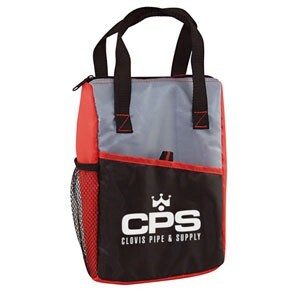 Front pocket can be imprinted with your company’s logo or message. 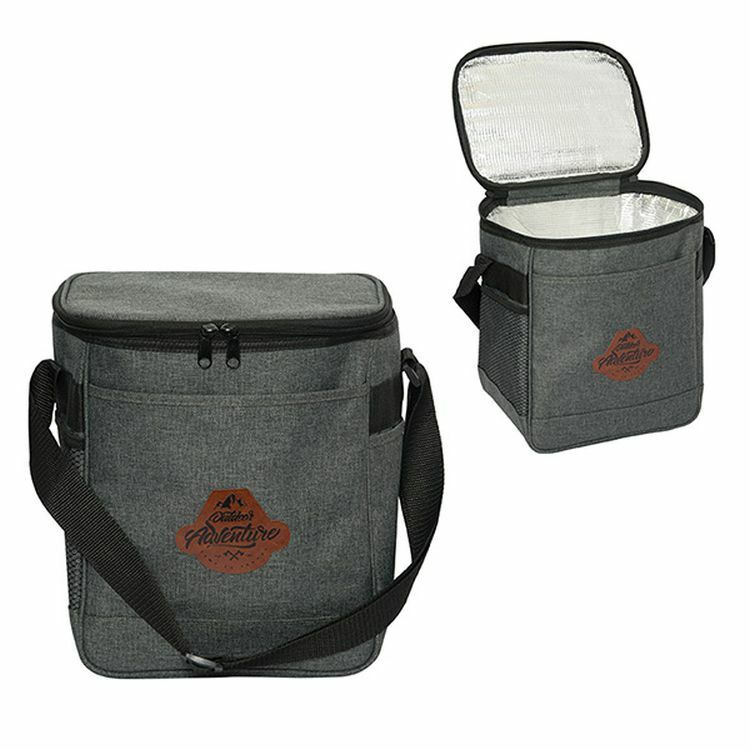 420D insulated cooler bag with gray heat sealed PEVA lining. Black shoulder strap; front slip pocket. 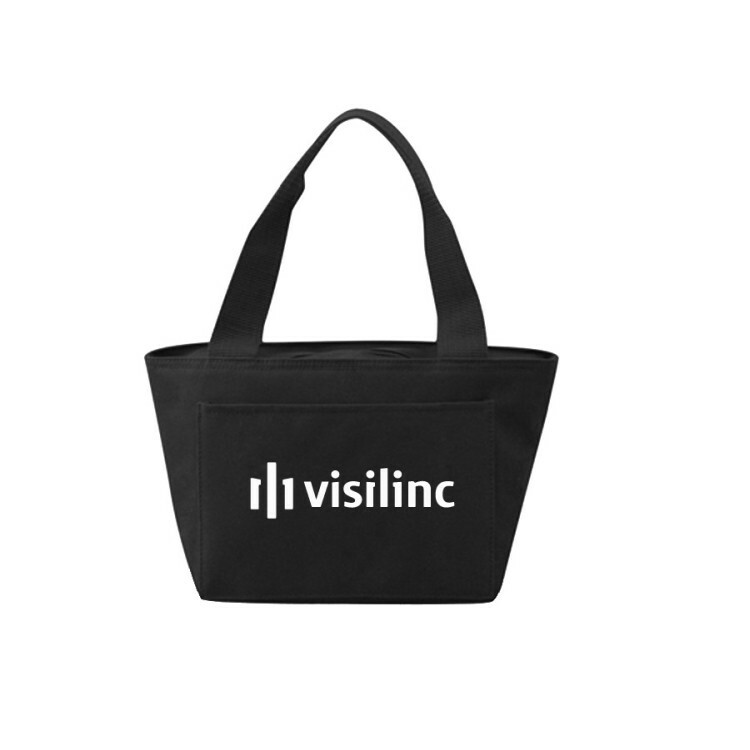 Get your brand seen by everyone in eyesight of this cooler bag! 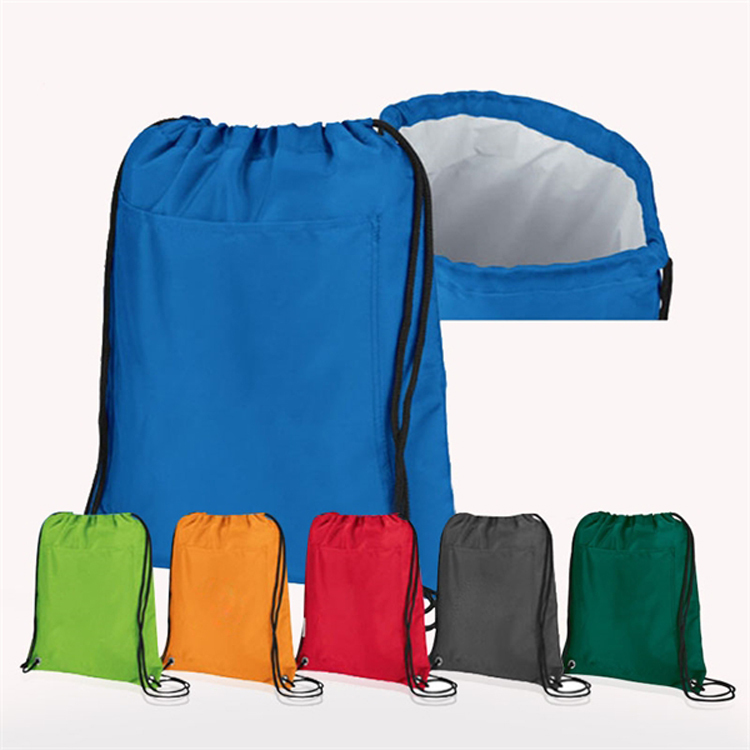 It's made of 210 denier polyester and features an insulated main compartment with PEVA lining and a drawstring closure. 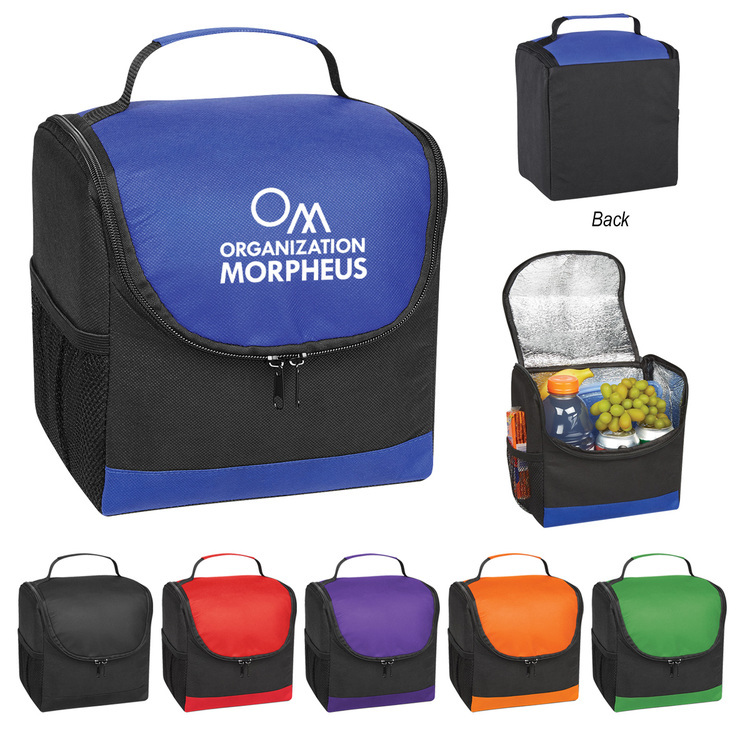 This is great for a casual outside adventure or taking lunch to work. Spot clean and air dry for best cleaning results. Use our silkscreen imprinting method to add your company name or logo and make this your next giveaway!. 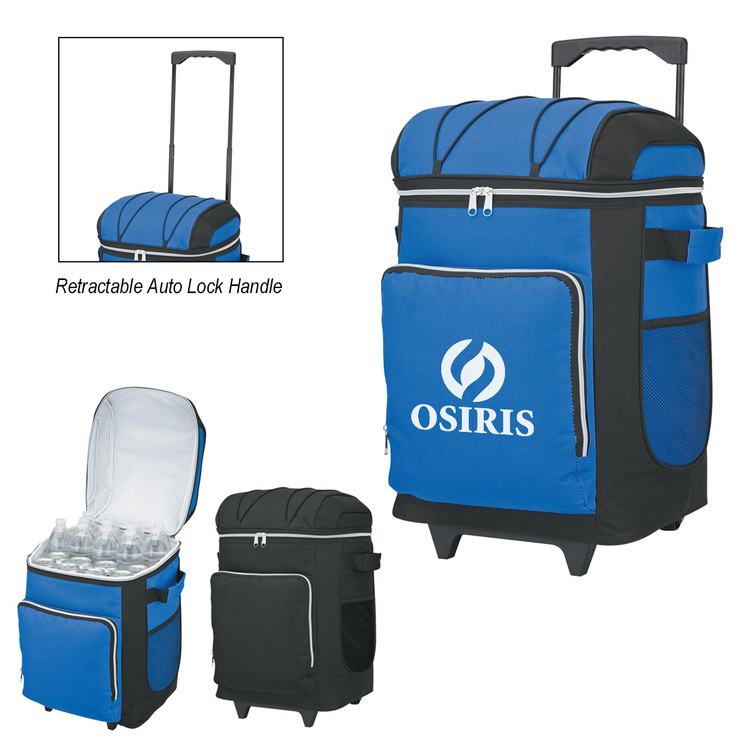 Retractable Auto Lock Handle Rolling Cooler With Wheels. Holds Up To 18 Cans. 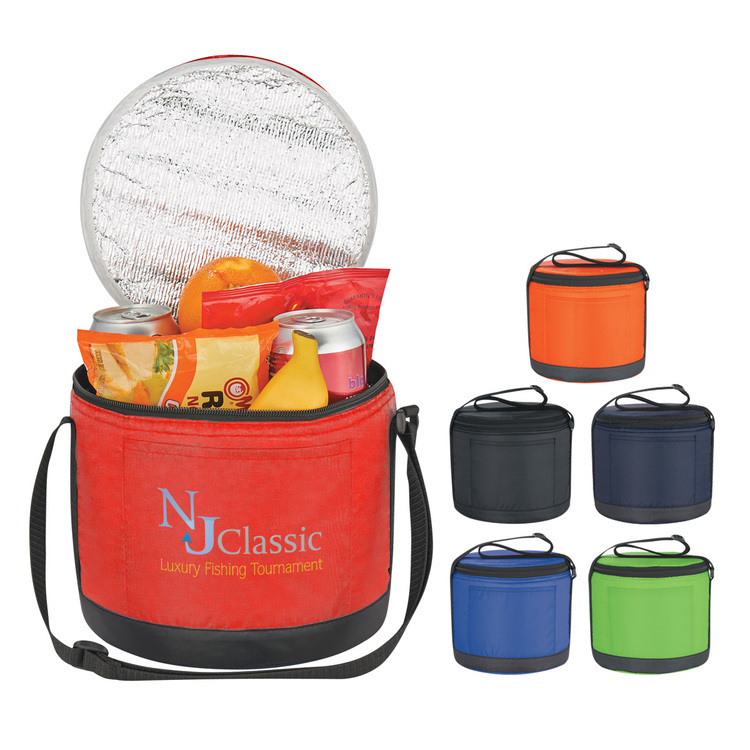 Coolers and cooler bags are best selling personalized giveaways for sports and corporate outdoor events, golf tournaments, construction companies, plus automotive and camping promotions. 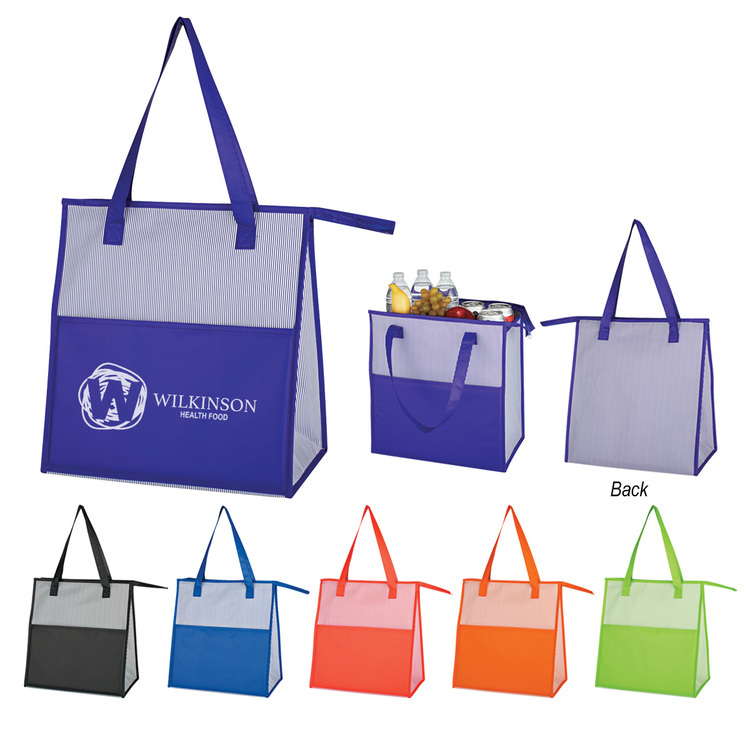 With many sizes, styles and brands of wheeled and rolling insulated cooler bags, and lunch cooler bags available, you can select the design that will best promote your imprinted advertising promotional message.